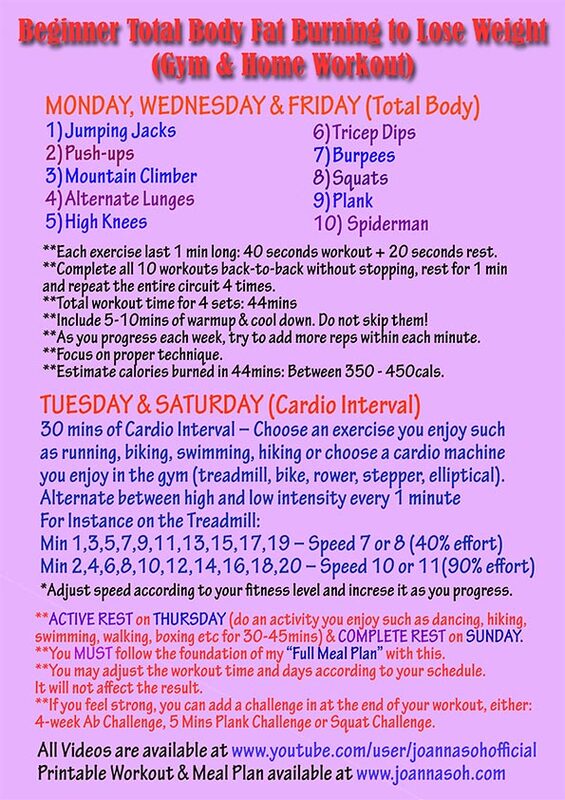 This is a total body fat burning workout designed for beginner like you to start losing weight quick and effective. No equipment needed, just you and your enthusiasm! Estimate calories burned: Between 350 - 500 Cals for a total of 4 sets. *The heavier you are, the more you burn. Progress: Lift a pair of light dumbbells, or challenge yourself to increase the workout time to 45 seconds and decrease the rest time to 15 seconds.